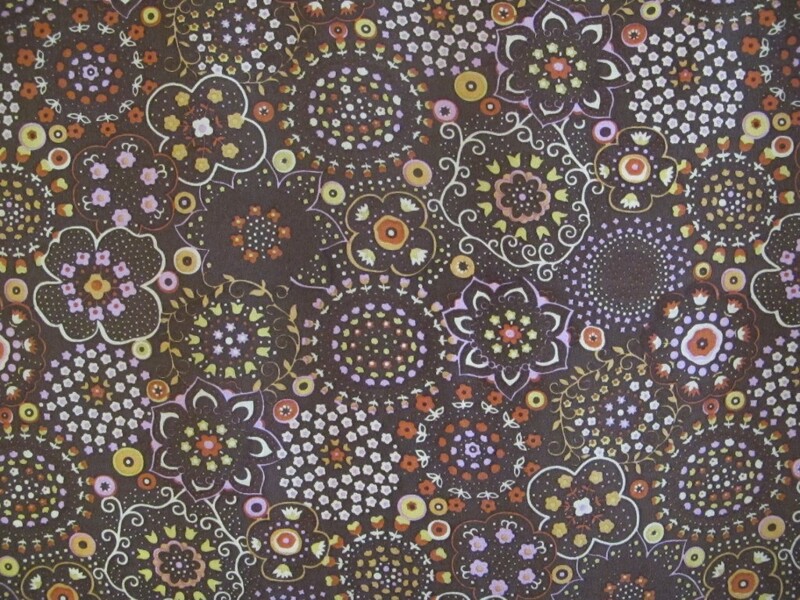 The warm hazelnut brown base is teeming with delicately outlined flowers and orbs which are back-filled with even more ornament in warm palette of caramel, lavender, lemon and sienna. For the intricacy of the pattern, it is not the least bit overdone and is just a very well balanced design. The lovers of brown will know that even with a print, you can pretty well treat it a neutral colour that will match tons of things. This silk is a crepe de chine, lightweight, soft and smooth to touch, fluid and with lots of body, completely opaque. This one comes from the NYC garment district. 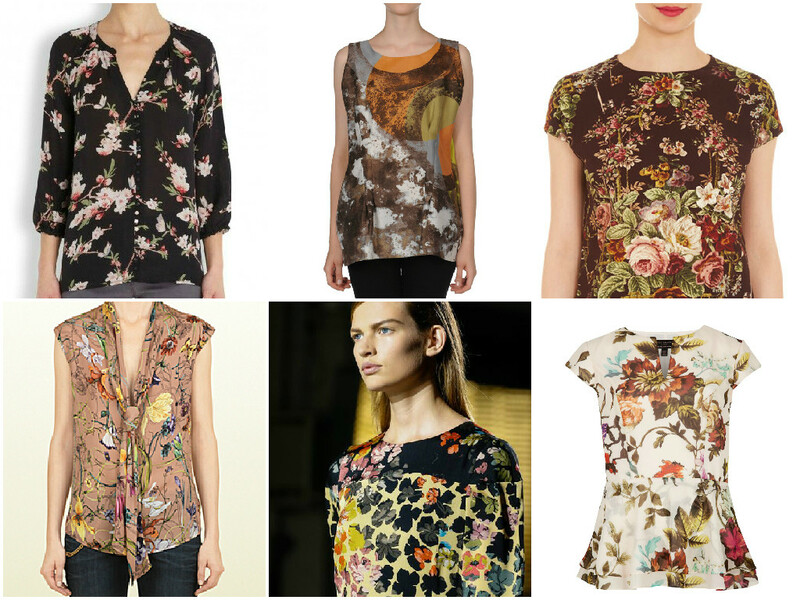 This silk can be transformed into tops, blouses, skirts, dresses, the lot. 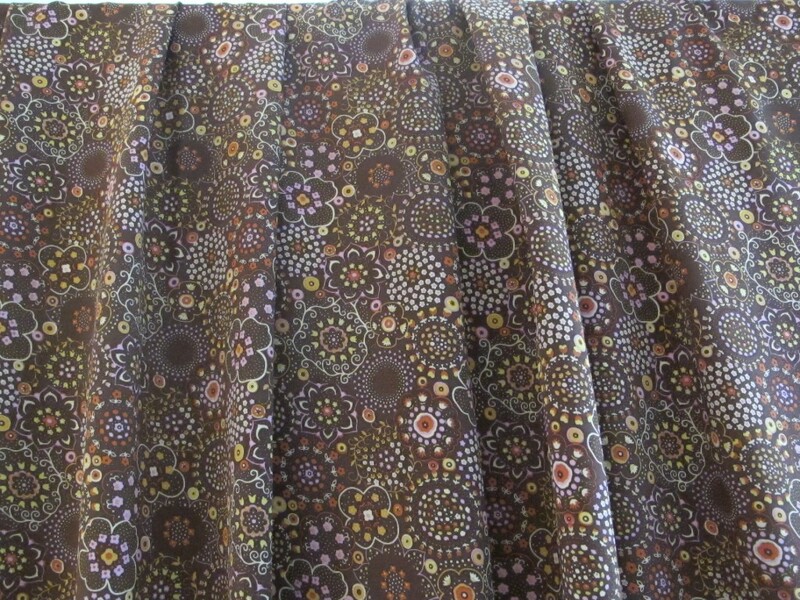 This silk is 117cm wide and the length is 2.4 metres. 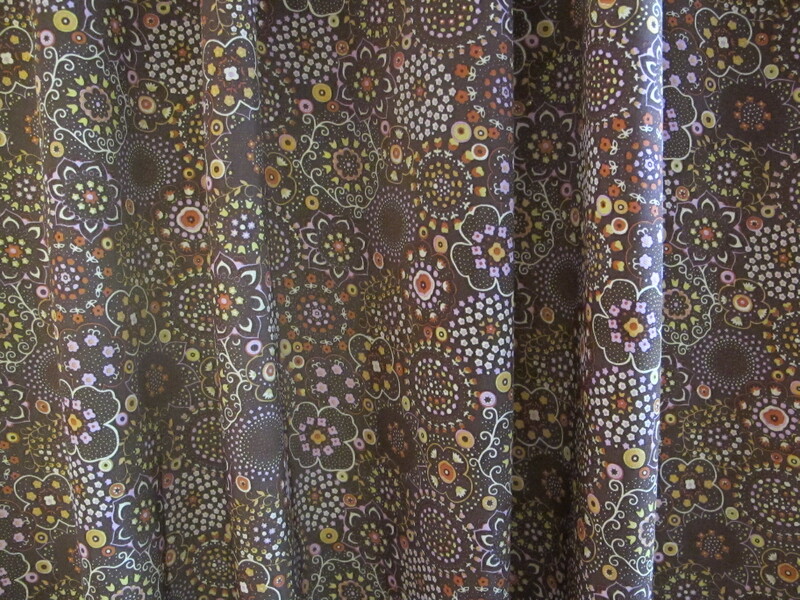 I can offer this silk at $20 a metre/$48 for the piece.